Atomos has made a name for itself with their amazing recorders such as the Ninja Blade, Ninja Star, Shogun and more. Now they are taking their popular continuous power feature and turning it into a product in its own right in the form of the new Power Station. The Power Station provides power for up to three DC devices and two USB devices at a time, all by strapping in one or two Sony mount batteries. This means your camera, Atomos recorder, lights and any other device with a DC or USB connection can be powered from the Power Station. As Atomos puts it, “With a maximum output of 5W, the Power Station allows users to charge an entire rig from DSLR & lighting to monitors & Atomos recorders”, and that’s just with one Power Station unit. Charging dead batteries is also a feature of the Power Station, and you can see exactly how much power your batteries have on the left and right LED displays on the front. The Atomos Power Station will be available at the end of this coming October for $295. It is currently on display at IBC 2014 in Hall 9, Booth D.25. For more information on the Power Station, see the press release below, and visit www.Atomos.com/Power-Station. Power Station allows continuous power in the field and in the studio for all production devices. Melbourne, Australia – 12th September, 2014: Atomos is known for delivering creative solutions to real world professional production and post production problems. 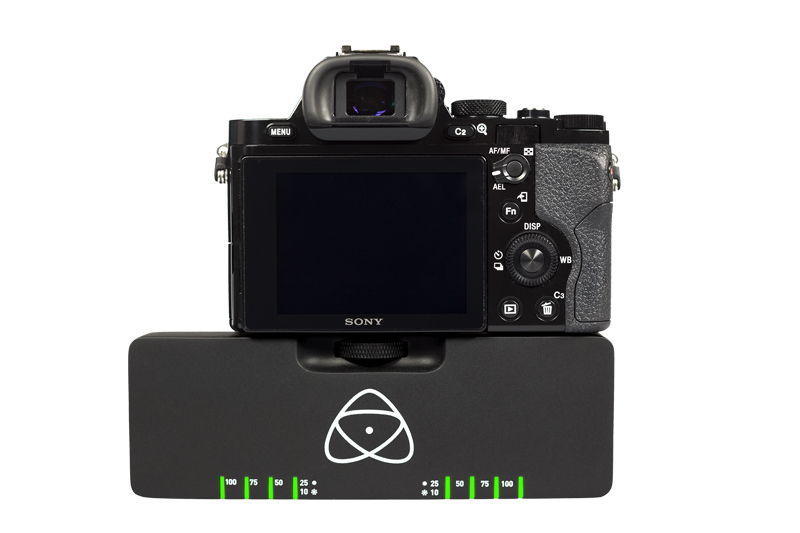 Today Atomos enter the battery market with what is the most advanced power management offering in decades. 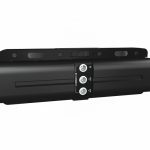 Unveiling the new Power Station at IBC 2014 (Hall 9, D.25), Amsterdam, this new accessory means cameramen will never be left without power in the field, powering multiple devices and giving endless hot swapping of commodity camera batteries – Endless Power. By utilizing the Atomos ‘Continuous Power’ technology Atomos have made a product which will give cameramen the peace of mind and allow them to focus on the shot and not the clock. Power Station is a dual battery device with connections to power up to 3 DC devices and 2 USB devices simultaneously. Dual DC outputs and included splitter cable allow powering of up to 3 DC devices on the rig. With a maximum output of 5W, the Power Station allows users to charge an entire rig from DSLR & lighting to monitors & Atomos recorders. Meanwhile the dual USB power source allows users to charge a single high powered 2A device (eg iPad) or 2 x lower powered 1A devices with two included 2600mAh batteries enough to charge an iPhone5 from 0 to 100%, 3 times over. If you need more juice just swap the dead primary battery for a new one while the secondary continues the job – endless power. With the Power Station cameramen will know exactly how much power they have at any given time. The independent left and right LED displays on the front of Power Station give a quick 5 step visual guide on the power remaining for each battery from 100% down to 10%. You will always know when to swap the exhausted battery and have hours to do so. There are also DC Adapters available for popular cameras including A7s, GH4, 5DMKIII, FS700, C100 and more. Power Station is also an advance super-fast charger for dual batteries by simply charging the included 2600mAh NP series batteries in 1 hour for maximum speed and convenience. The Atomos Power Station will ship for 295 USD, 219 Euro and 179 GBP and will ship at the end of October in customer’s hands for their productions in November via the Atomos Worldwide reseller network. 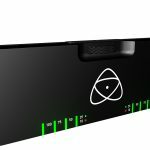 See www.atomos.com for more details.